Water resistant overt cover made from 100% high performance breathable coated polyester. Features a high tech spacer fabric providing the highest level of comfort when worn in hot and humid environments. Tabard Style Stab Resistant Vests made by PPS Group are of a ‘non-confrontational’ design and EN 471:2003 compliant and feature outer covers made out of a water resistant overt cover made out of a 100% high performance breathable coated polyester.. They can be put on or taken off within a very few seconds. Additional radio loops, docks for body worn video solutions and Velcro identification badges can be added upon request. 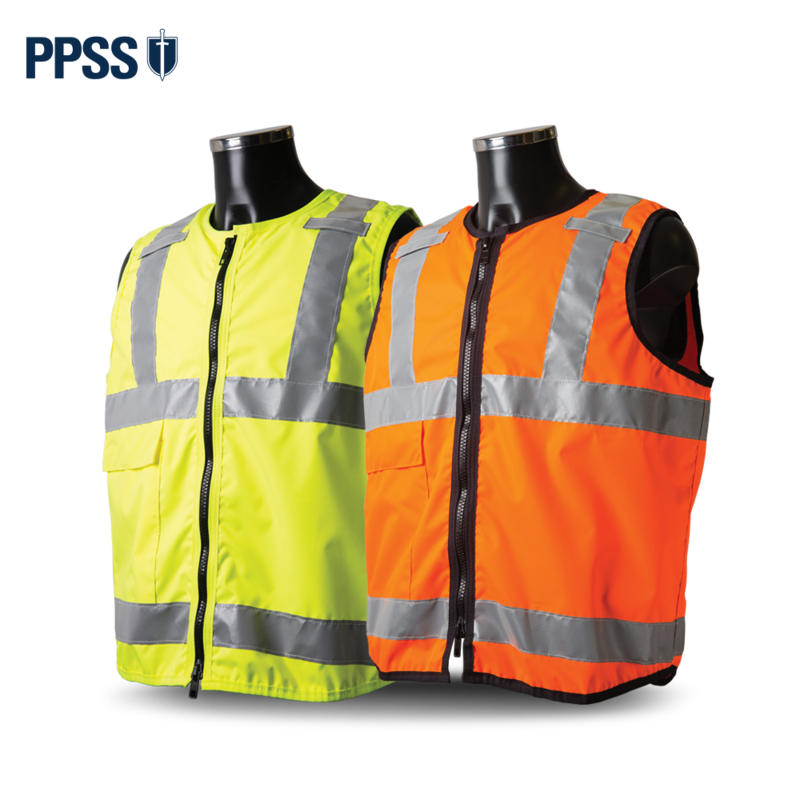 Our tabard style stab resistant vests manufactured by PPSS Group are worn on top of your existing clothing and effectively help protect the wearer against attacks from edged weapons. They also offer unrivalled and 100% reliable protection from hypodermic needles as well as blunt force trauma.